Made with cows' milk. Good for healthy teeth + bones. Suitable for vegetarians. 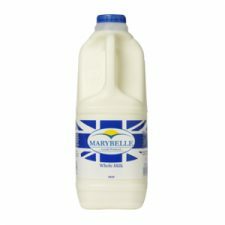 Lactose free*, pasteurised semi skimmed filtered dairy drink. *Arla makes every effort possible to ensure that Lactofree dairy drink contains no lactose. They carry out rigorous scientific testing using the most accurate UKAS-accredited tests available which enable them to detect lactose at the trace level of 0.03%. At this detection level their tests show that there is no lactose present in Lactofree. Please refer to www.lactofree.co.uk for more information. 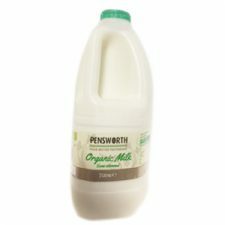 Not suitable for milk allergy sufferers. If in doubt consult your GP How can lactofree help? 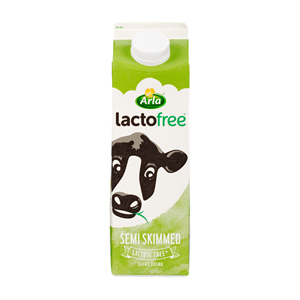 Lactofree is made from semi-skimmed cows' milk and filtered to remove half the milk sugars. Lactase enzyme is then added to the milk to break down the remaining milk sugars into simpler forms that your body can absorb. So what you get is delicious lactofree, which has all the nutritious goodness of regular semi-skimmed milk.